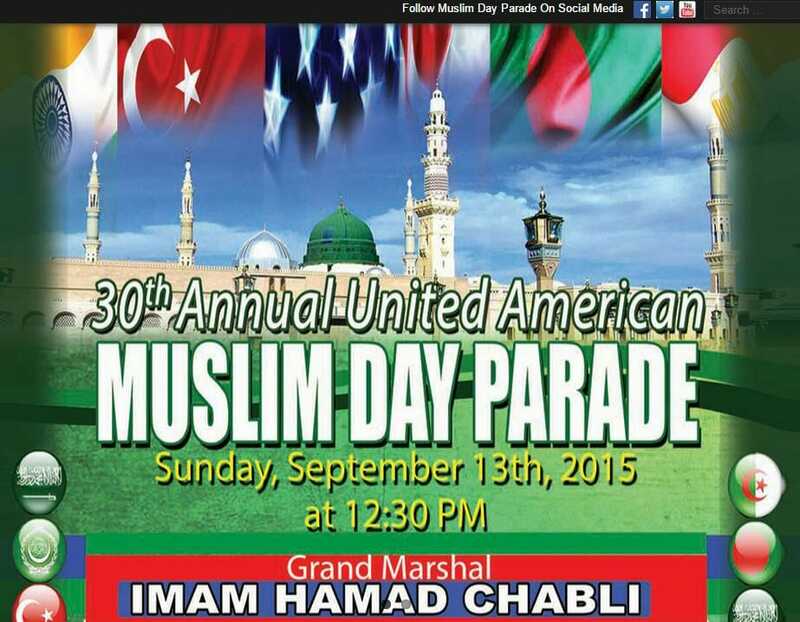 The 30th Annual Muslim Day Parade will be held this year on September 13th, two days after the anniversary of the 9-11 Islamist attacks on America. The Parade President Ainul Haque posted a message on this year’s event. He says Muslims will work for prayer times at public school and Halal food for children in schools and inmates in prisons. United States of America is our homeland though adopted but still our home. We have taken the oak for the betterment of this country. So focus your activities on this point and work hard for it. Soon we will be gone from the scene But our children will be here. So for the future of our children, get united and join the political process of this country. Because nobody listens to you here, the only voice which is heard is the voice of your vote, meaning how many votes you have. You may have heard the news that the City of New York has recognized Eid holidays in its school system after working hard for two decades. We achieved this due to the our unity and our vote. Many of us have not yet registered themselves to vote, while others are registered but don’t go out to vote considering their vote won’t make a difference. No, its wrong, whether your andidate wins or looses, it does not matter. What matters, is the number of Muslims voted in every election. Each vote casted is counted and tells the authorities who has the voting power and how much. We still have many other hurdles to remove from our path such as Halal food for our children in schools and for Muslim inmates in the detention centers. They are still not allowed to have time to pray in our schools and detention centers. So we have a lot of hard work in front of us. I, therefore, remind and request you to please register yourselves to vote and if you are registered than make sure you go out and vote in every election for the sake of our unity and voice.